The venue - the Milli Piyango Curling Arena - in located in the outskirts of Erzurum in the city's Mecidiye District. 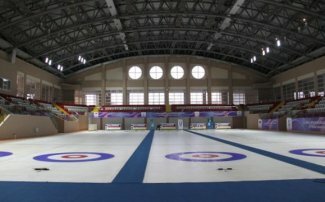 It is Turkey's first dedicated curling facility and was opened in September 2010. It has a capacity for 1000 spectators and 5 sheets of curling ice. The rink hosted the 2011 World University Games and is fully equiped to host international competitions. There is not any public transportation from the city to the Rink. Taxis are always available from the city centre (10 minutes away). The fare is around the 7-10 EUR. During the Championship, the LOC will arrange a shuttle bus service between the official HQ hotel and the rink.